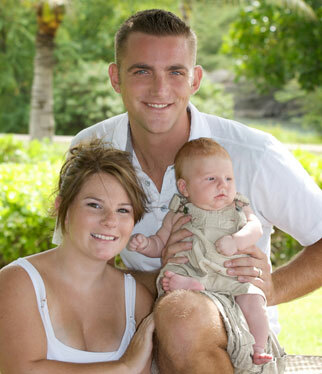 Petty Officer 2nd Class Joshua Nichols, shown here with his wife, Danielle, and infant son, Ty, was among three killed during a Coast Guard training flight. The search for the missing pilot of a crashed Coast Guard HH-65 Dolphin helicopter is expected to continue at least through this morning. "We'll continue while there's a chance of survival," said Rear Adm. Mason K. Brown, the commander of the Coast Guard district. The search area extends 40 miles off shore and stretches 35 miles from Barbers Point to Diamond Head and Coast Guard air crews from Northern California and Alaska have flown to Hawaii to help. Three Coast Guardsmen died Thursday night in the helicopter crash south of Oahu. The wives of two crew members remembered them as loving husbands who dedicated their lives to helping others. U.S. Coast Guard Petty Officer 2nd Class Joshua Nichols and his wife Danielle were on a lunch break one day when they passed a building fire in the Sand Island area. Coast Guards expand their search area, continuing to search for clues out at sea with Rear Admiral Brown helping with search efforts. "We saw some smoke come out and what does he do?" Danielle Nichols recalled in an interview yesterday. "He just runs right in, not a thought in the world. Just runs in, grabbing fire extinguishers. ... That's just what he does." Nichols of Gloucester, Va. was among three Coast Guardsmen killed in a Thursday evening training flight five miles south of Honolulu. The flight mechanic was 27 years old. Also killed were co-pilot Lt. Cmdr. Andrew Wischmeier, 44, of Ft. Lauderdale, Fla.; and rescue swimmer Petty Officer 1st Class David Skimin, 38, of San Bernardino Calif. 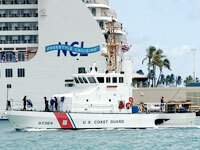 Yesterday, Wischmeier's wife Sue told KITV4 News that the whole Coast Guard family here is being affected by the crash. "The current Coast Guard members are having to do something which is really their worst nightmare, which is go and save their own and have them not be rescuable and it is extremely hard on them emotionally," she said. "There is kind of this collective pain of all these people together and all these families." Rescue teams extended their search to 40 miles off shore for a fourth crewmember, who has not been identified. The search area, spanning 35 miles from Barbers Point to Diamond Head, covers more than 2,500 square miles and will continue tomorrow. The Coast Guard Foundation has established a fund to help the families of the rescue crew that crashed Thursday night. Contributions may be made online at www.cgfdn.org or can be mailed to the Coast Guard Foundation Office at 394 Taugwonk Road, Stonington, Conn., 06378. Please make reference or include a note indicating that your gift should go to the Family Disaster Relief Fund for Coast Guard Helicopter CG-6505 or in memory of a specific crewmember. So far, more than 60 sorties or missions have been flown by the Coast Guard and Honolulu Fire Department, which is helping search waters closer to Oahu. "We have a fairly comprehensive and modern search-and-rescue computer program that takes into account wind currents, sea currents and other local factors," said spokesman Lt. John Titchen. "We can generate a pretty good idea of where a person would drift." Small pieces from the exterior of the fuselage of the downed HH-5 Dolphin Helicopter, which was on a training mission, were recovered yesterday. The pieces will be transferred to a hangar at Hickam Air Force Base where it will be examined by Coast Guard investigators. "We will be focusing on the hoist and the cable attached to the basket," Titchen said. Coast Guard Rear Adm. Mason Brown, the 14th Coast Guard District Commander, said yesterday that preliminary reports indicated something might have gone wrong with the wires for the basket. Coast Guard air crews from San Francisco, Humboldt Bay in California and Kodiak, Alaska have also come to Hawaii to help search crews here and to respond to other emergency calls during the search. The Navy's Combat Task Group 32 and Helicopter Sea Combat Squadron 37 are also on standby to provide search and rescue support for other missions in the region. Lt. Cmdr. Andy Wischmeier, 44, of Fort Lauderdale, Fla., died in a Coast Guard helicopter crash Thursday. 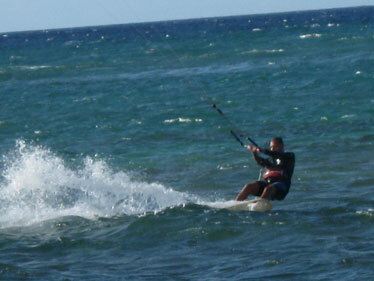 Sue Wischmeier told KITV4 News that her husband loved the water and he had planned to retire next year in Hawaii. "Our hearts are with the loved ones of our lost aviators," Brown said today in a written news release. "But we have an active search and we'll continue while there's a chance of survival." Both Nichols and Wischmeier were described by their wives as people who liked to help others. When Danielle Nichols first met her husband in North Carolina six years ago, he was helping a friend injured in a motorcycle accident pushing his friend in a wheelchair wherever he needed to go, Danielle Nichols said. Sue Wischmeier, the wife of Lt. Commander Andy Wischmeier, a co-pilot killed in the crash, talked about how her husband loved the sea and his job. Earlier in the year, the couple were driving up to North Shore when they saw a blind man trying to cross a busy intersection. "Josh just pulls the car over right away and helps him across," the wife said. "Every since I have known him he has been helping people." Danielle Nichols, who recently left the U.S. Coast Guard because the couple planned on having children, said the couple celebrated their first wedding anniversary on June 16 and she went into labor the same day. Their son Ty was born the next day. "We always said we'd never forget our first anniversary," she said. "He was just an amazing father and he loves his son more than anything. He was so proud." She said her prayers are with the family of the fourth crewmember, whom she called "one of the best pilots" she's ever met. 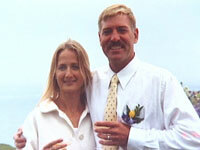 Sue Wischmeier told KITV that her husband loved the water and he had planned to retire next year in Hawaii. They married eight years ago in Alaska, where she was also in the Coast Guard. "He loved being on the water," she said. Two days after the accident, Danielle Nichols said the loss hasn't completely sunk in yet. "I don't like to go to sleep because when I wake up, I kind of forget what's happened," she said. "I keep waiting for him to come home," she added. "It's hard to grasp the concept that I'll never see him again."